CMO Advice: What to look for when choosing a Social Media or Digital agency? 1) What do you think is the one most important factor when choosing an agency? Romi: The single most important factor is the agency’s internal organizational principle. Are they siloed or do they coalesce around the business needs of their customers? 2) How can you gauge if your agency really “gets it”? Romi: This is of course the 64,000 dollar question, but that said: Agencies that get it have the following characteristics: 1. active listening, 2. camaraderie across creative, operations, business, finance 3. Track record of irreverence. 3) Do you think smaller agencies have an advantage over larger ones? if so why? Romi: Without overstating it, yes small agencies have SOME advantages over larger ones and some disadvantages. The agencies in the middle i.e. REAL Revenue of 40-100M like Ascentium are the ones best poised to do great customer work going forward. Reasons are: one needs the critical mass to bring a variegated service to one’s customers but in addition needs to be nimble enough to cluster around the customer in ways large agencies cannot do. 4) Any tips on how to optimize your spend with an agency? Romi: The best tip here is to be absolutely clear on your goals and then NOT to quibble about small things. The quibbling and back and forth wastes time and money. 5) Do you think we will see more Social Agencies becoming Agency of Record? Romi: As if being AOR is a good thing! I think we’ll see digital agencies as AOR’s for medium sized companies but, frankly, the AOR model has to die. Romi Mahajan is President of KKM Group, an Advisory company focused solely on Strategy and Marketing in the Technology, Media, Agency, and Luxury Goods sectors. Prior to joining KKM, Romi was Chief Marketing Officer of Ascentium Corporation, a leading digital agency with 96M in Sales in 2008. Prior to joining Ascentium, Mahajan spent over seven years at Microsoft Corporation where his last role was as Director of Technical Audience & Platform Marketing. Earlier in his career, Mahajan started two boutique consulting companies specializing in technology and finance joint ventures between U.S. and Asian companies. A well-known speaker on the technology and media circuit, Mahajan serves on a variety of Advisory Boards and speaks at over a dozen industry events per year. In addition, he has been published prolifically in the Technology press. 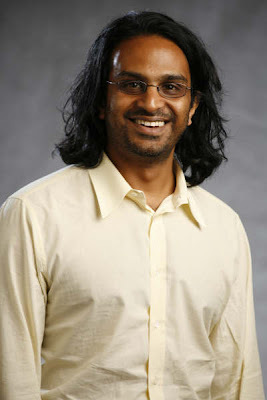 Mahajan graduated from the University of California at Berkeley, at the age of 19 with a Bachelor’s degree in South Asian Studies. He also received a Master’s degree from the University of Texas at Austin. 2 comments to CMO Advice: What to look for when choosing a Social Media or Digital agency? Thanks Paul — interesting comments for sure. I especially like Romi's point about how the medium size agencies may have a real advantage these days in having enough scale to pull together whatever clients need but small enough to move quickly. Coming from a very small consulting firm myself (with the inevitable network of expert partners, of course!) I like to think that we can do "anything" but the reality is that scale does still matter in many cases. And it's a healthy reminder against the cliche that the middle is the worst place to be. Of course Romi is also right that the organizational model (and, dare I say, culture) of the agency is the most important thing.